Mark Herring's admission that he wore blackface as a college student is the latest addition to an ongoing story that has developed quickly: In less than a week, a party that was seen to be on the rise is now in turmoil. Two experts shared their perspectives with WTOP. 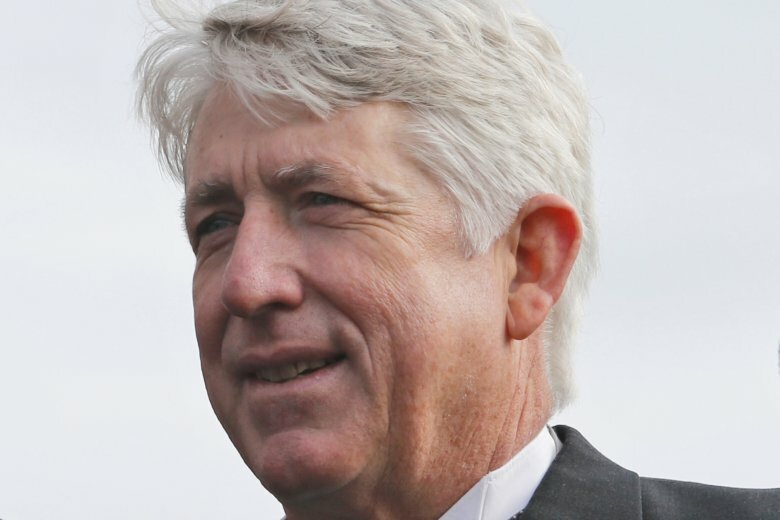 WASHINGTON — Virginia Democrats have another scandal, and this time it involves the man third in line for the governor’s office. After a racist photo in Gov. Ralph Northam’s medical school yearbook emerged Friday, and after an accusation of sexual misconduct was leveled Sunday at Lt. Gov. Justin Fairfax, the next person in the line of succession, Attorney General Mark Herring, admitted Wednesday to wearing blackface as a college student. It’s the latest addition to an ongoing story that has developed quickly: In less than a week, a party that was seen to be on the rise is now in chaos. In an interview Wednesday with WTOP’s Mark Lewis and Debra Feinstein, he was asked whether he could recall a time of similar turmoil in Virginia politics. After Herring, the next person in line is Republican House Speaker Kirk Cox. Given that fact, Farnsworth said, the recent revelations probably lighten the party’s pressure on Northam to step down from the top office. Adding to the chaos: It’s all happening during an election year. Kyle Kondik, the managing editor for Sabato’s Crystal Ball at the University of Virginia Center for Politics, speculated whether it could lead to an unlikely choice among General Assembly candidates. “Are we going to see Democrats running for the state legislature essentially running against their own party’s officeholders, maybe even running in favor of impeachment, or something like that, of Ralph Northam?” he said in an interview with Lewis and Feinstein. Pressure on the party could also have a chilling effect on Democratic donors, and keep would-be candidates from running for the General Assembly, where the GOP holds a very slim edge. “I think that the very favorable environment that the Democrats were looking at a week ago has really evaporated right now,” Farnsworth said. And it likely means an escalation in opposition research in the months ahead — with a focus on yearbooks, fraternity activity and the like to see whether a candidate has “a blackface problem,” he said. “I really do think that we’re looking at a very aggressive reckoning in Virginia about the past in terms of a lot of people that may have done something in the 1980s that they certainly would not want disclosed today,” Farnsworth said. That potential reckoning, though, is still months away, and a lot can still happen.